With the indices notching some nice gains for the quarter, here are the underlying sectors/industries that made up the overall return. The tables includes YTD and and 3 month returns as well as the index weighting for specific sectors/industries. 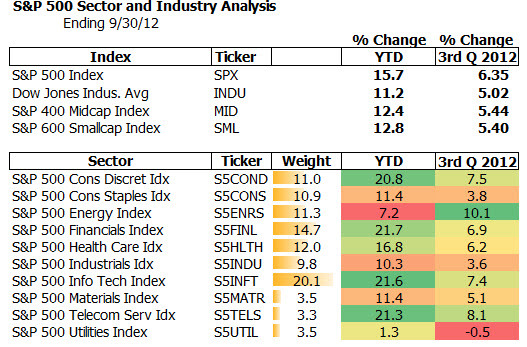 First, a look at the index returns and sectors. A closer look at the industry performance.